Every season, we are thrilled to introduce the latest and greatest in rose cultivars to our customers. With beautiful colors, intense fragrances, and astonishing growth habits – we assure you that you need these blooms. Jackson & Perkins is proud to introduce these new and exclusive roses to you – each is unique in their own way and many represent wonderful causes or events. We hope you choose to fill your garden with these new and special blooms. ‘La Park’ Floribunda Rose – In celebration of our sister company Park Seed’s 150th Anniversary, the ‘La Park rose is a beautiful bloom with some of the most unique colors we have ever seen. Named for the location in which it all started: La Park, Pennsylvania. La Park will be an excellent choice for your mixed perennial beds or planted en masse in the garden. Its multicolored blooms erupt from the shrub in clusters, and no two blooms are alike. 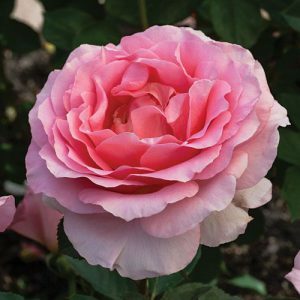 Dr. Jane Goodall Hybrid Tea Rose – What better way to honor legendary ethologist and conservationist Dr. Jane Goodall than with the naturally exquisite beauty of a rose? 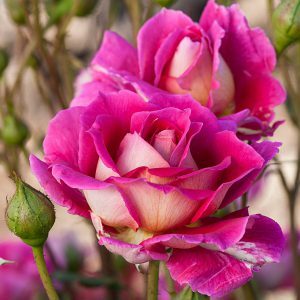 This rose is a beautiful mix of strength and loveliness that any gardener and rosarian will respect. In addition to its many valuable traits, $3.00 from each sale of this rose will benefit the great works of the Jane Goodall Institute. 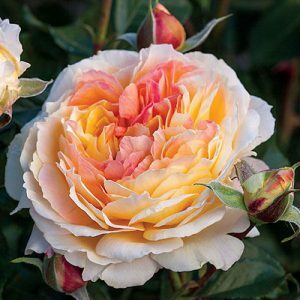 ‘Soaring to Glory’ Floribunda Rose – To honor 70 years of the brave men and women who serve and protect our country and airways, the ‘Soaring to Glory’ Rose is an excellent way to pay homage to all of the Air Force service members past and present. 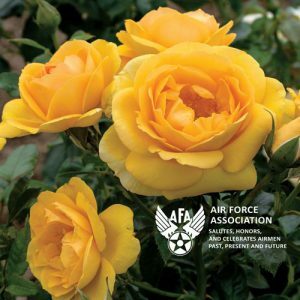 This bright bloom will surely be a focal point in any garden, and $3.00 from each sale of this rose will be donated to the Air Force Association to support the United States Airmen both active duty and retired. ‘Mauvelous’ Shrub Rose – This eye-catching bloom boasts truly unique color with its deep mauve petals with a light reverse. This shrub rose blooms in large clusters and it also has a strong lemon fragrance. With its long stems, you can fill the vases and arrangements in your home with this beautiful bloom.